Do you like sparking things like crystals? Or you want to be a wholesaler of crystal in your place. Yiwu crystal is waiting for you right here. Yiwu crystal market is mainly in international trade city district 1. 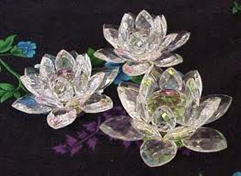 You can find out almost all kinds of crystal craft products. There are crystal cup, medal, ornament, office appliance, ashtray, key chain, model, and other crafts. Commodity items variety from crystal wine stoppers to crystal chandelier. You can also has the crystal products made in the style you expect, what you should is just offer the picture or sample you want, the factory will make you satisfied with the product only for you. But at the same time, you should follow the minimum order quantity. As the main origin of crystal- Pujiang is near Yiwu, the quality of crystal shipped out from Yiwu is quite reliable. No matter you have got a crystal supplier or not, believe that, Yiwu crystal would be your better choice. We will do everything for you before you receive the crystal at home, if you let us be your Yiwu agent. Related crafts: Leather Crafts, Metal Crafts, Natural Crafts, Paper Crafts, Plastic Crafts, Pottery & Enamel, Resin Crafts, Semi-Precious Stone Crafts, and Stone Crafts.